Sometimes all it takes is that initial look, and you know something big just happened. Maria "Kat" Broines and Tyler Moschler met at a concert, and they say, right away there was a spark and a connection between the two of them. That single moment was the start of seven happy years together. The day after their seventh anniversary, Tyler sent Kat on a photo scavenger hunt around New York City. At first, Kat thought Tyler was just being sweet, seeing as their anniversary was the day before, but at the sixth stop Kat's sister was waiting for her, and she started to catch on to what was really happening. Her suspicions confirmed at spot number seven, where she was prompted to turn around and found Tyler waiting for her. 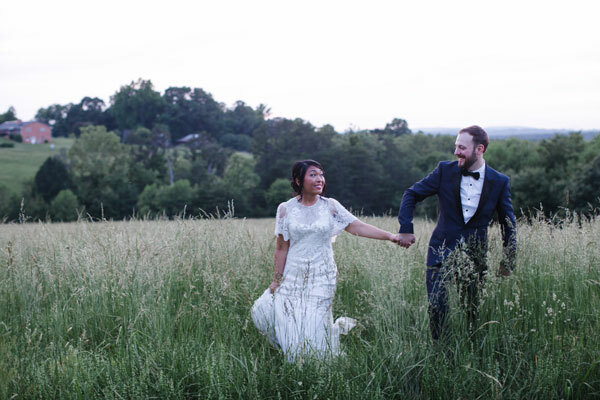 The wedding, though the perfect show case of Virginia beauty, wouldn't be complete if the couple weren't true to their New York start. Seeing as they met, dated, and loved in New York, it would have been wrong to exclude it from the wedding. The seating chart was arranged as an enlarged NYC subway map. The tables were labeled as "stops" on the map, each being somewhere important to their relationship the last seven years. Furthering their blending with NYC, each guest received a personalized Cracker Jack Box, with the couple's names, wedding date, and the New York Mets logo. 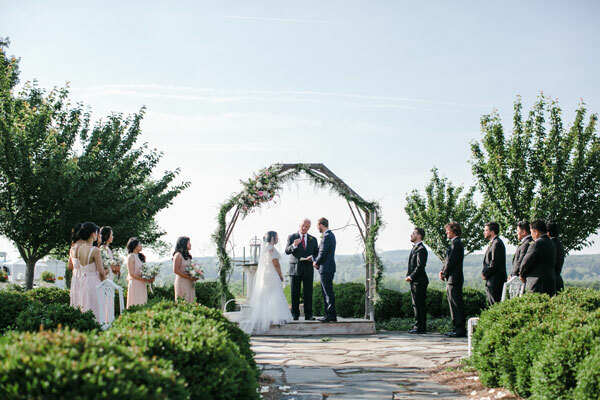 The day was the perfect blend of vintage, Virginia, and New York City. It was the ideal way to showcase their love for one another and the places that built them. Be sure to see more of the Moschler Wedding on page 50 of bridebook!